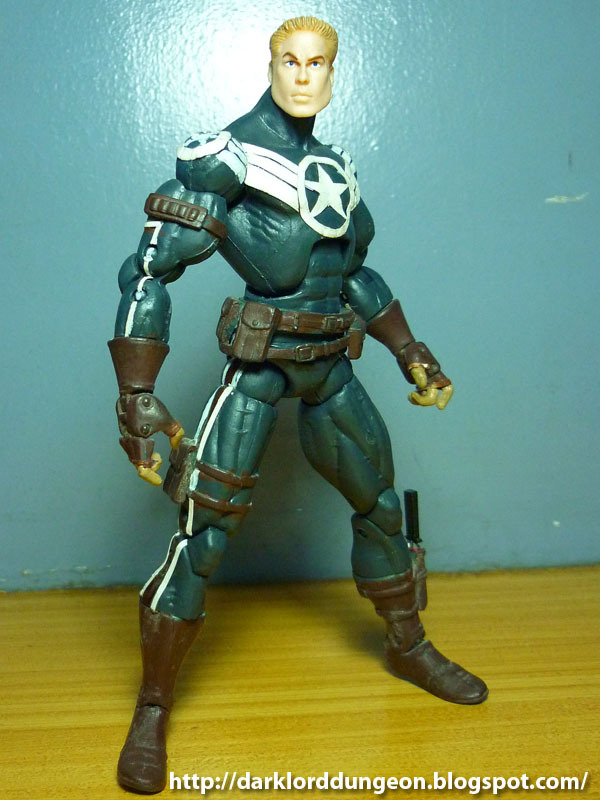 Presenting my custom build Marvel Legends Steve Rogers. 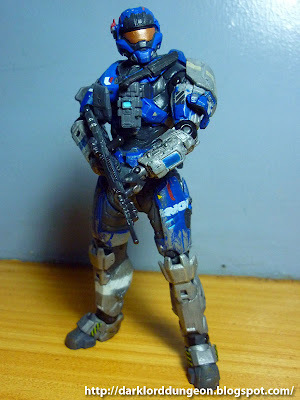 This is my first ever custom build of a toy and I really do think it came out well. However with the recent injury (Hopefully death) of Bucky-Cap, the pending Captain America First Avenger movie coming, the re-boot of the Captain America series back to issue one, rumor (Till he's actually wearing it, it's a rumor) has it that Steve Rogers is re-donning the Red-White and Blue scalemail. So before Commander Steve Rogers, head of the Strategic Hazard Intervention Espionage Logistics Directorate, or S.H.I.E.L.D. ; which also makes him - as admitted by Special Agent Abigail Brand, head of the Sentient World Observation and Response Department, or S.W.O.R.D; leader of three Avenger's teams, ladies man (wink-wink), and defacto top-cop of the World becomes obsolete, I thought I might as well show him off. Presenting from McFarlane Toys: Commander Carter: Spartan A259 , call sign Noble 1 from the video-game Halo Reach. If you played the game, then you know that Commander Carter was the head of UNSC Special Warfare Command Group Three AKA Noble Team, an elite-Spartan-Commando team that was a critical fighting force during the Fall of Reach. All of Noble Team - including Noble 6 (Whom you play in the game) died at one point or another. Only Noble 3, Warrant Officer Jun A266 - the sniper - is supposedly alive. 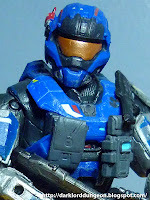 Carter-A259 was critically injured towards the final chapter of Halo Reach (He smashed against the windshield of a crashing pelican - which is why you should always wear your seat-belt). Noble Team was tasked by Dr. Catherine Hasley - mother of the Spartan Program - to deliver a package to the Pillar of Autumn. 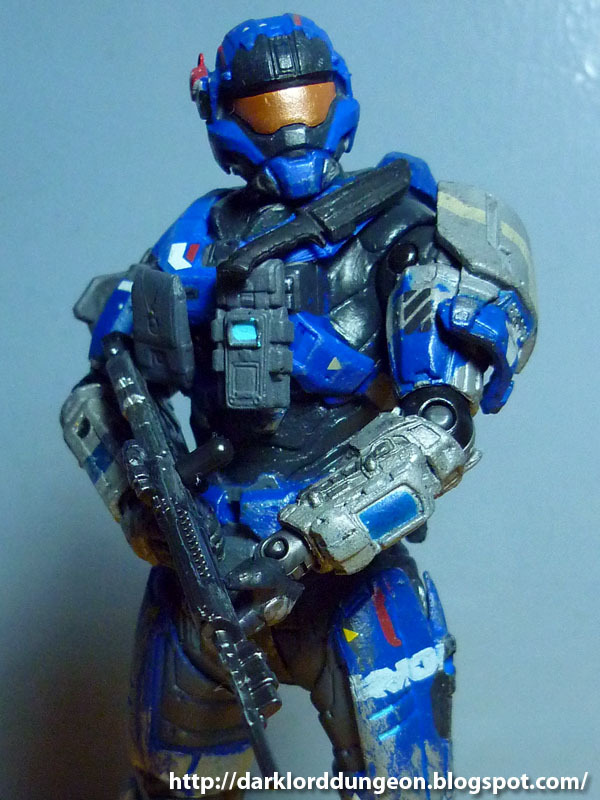 The package turned out to be Cortana - thereby triggering the events of Halo 1-3 and the adventures of the Spartan Master Chief. The 10th Philippine Toys, Hobbies and Collectibles Convention 2011 has drawn to a close and what a weekend it was. I met great new friends in person for the first time whom I've only known for quite some time on Facebook - found out one of them was a ten year old; I had my first exhibit; and I had a great haul over the two day period. 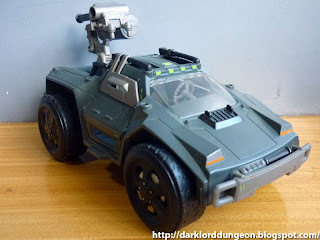 Presenting Transformers Dark of the Moon's Topspin. For those unfamiliar with DOTM Topspin and who he is, Topspin is a member of an elite special-forces group of Autobots called the Wreckers. The Wreckers are Autobots who decided that the pacifistic ways of Optimus Prime and company were not enough and that the only way to end the Cybertron War was to kill specific individuals within the Decepticon ranks. Think of them as Wolverine's X-Force to Cyclops' X-Men. 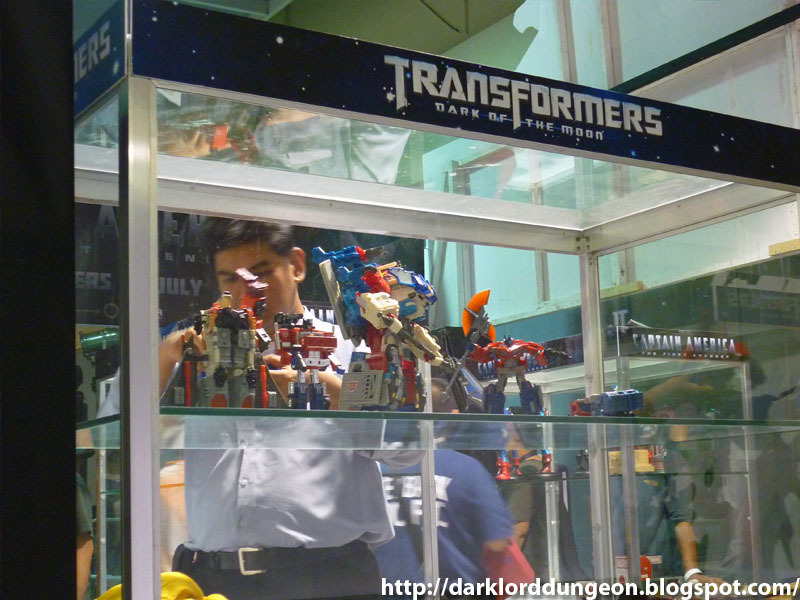 As a result the Wreckers have gained a cult standing among Transformers collectors. Partly because in certain continuities the Wreckers are let by Ultra Magnus or Rodimus Prime - mostly Ultra Magnus. Other known leaders include Springer and Impactor - the original leader who died. Most of the Wreckers end up dead - including Topspin. 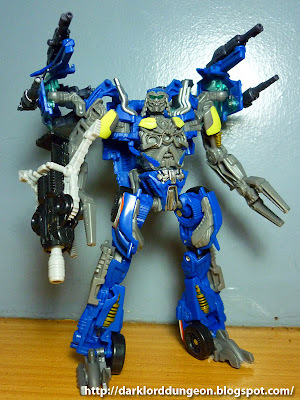 So don't expect a long life span for Topspin who makes an appearance in Transformers Dark of the Moon. Chance does not favor his survival. 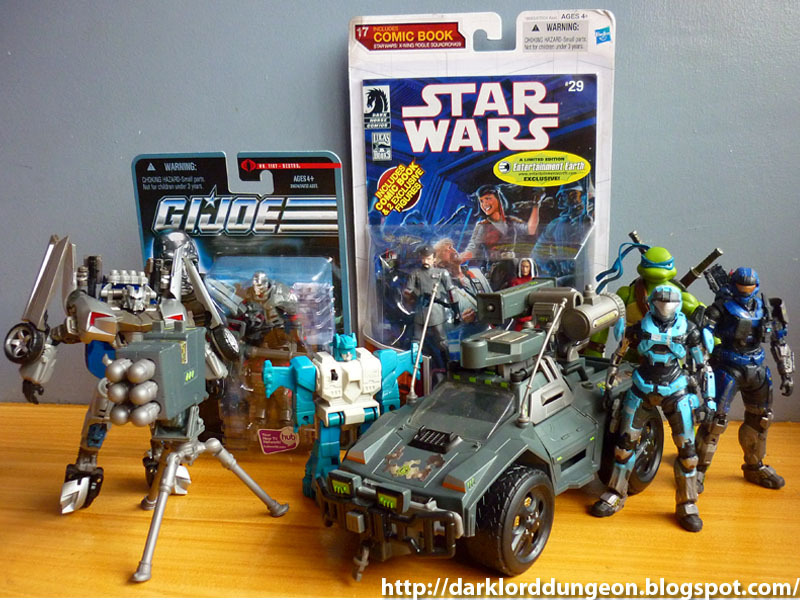 Most of DOTM Topspin's fellow wreckers have already made their Transformers DOTM toy appearances namely: Roadbuster, Sandstorm and Whirl. 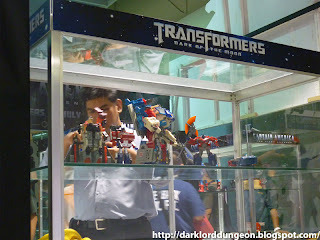 The 10th Philippine Toys, Hobbies and Collectibles Convention 2011 is today. 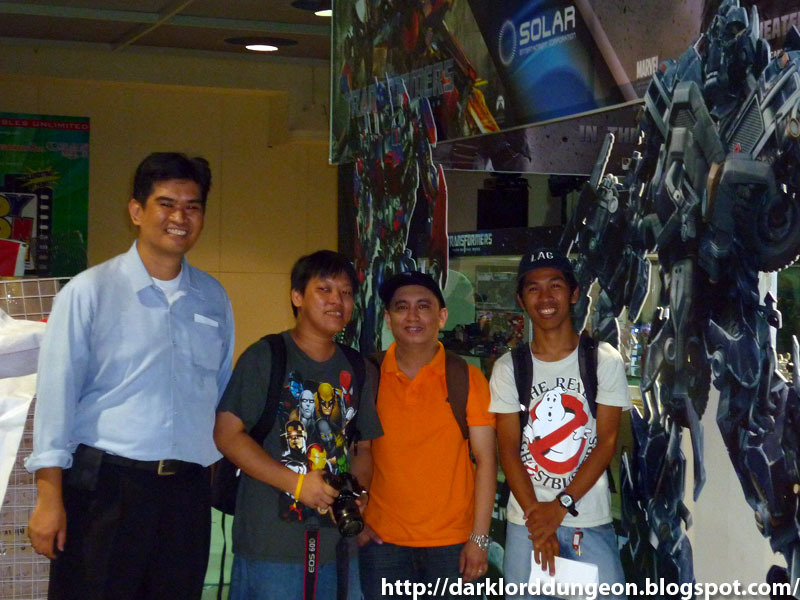 I'm having my first ever exhibit and I'm really proud and happy to be associated with the fine men of Transformers Philippines. See you all there and look out for us. We're the ones with the cool booth surrounded by really big cut-outs of Autobots. Presenting from Star wars Legacy of the Force: Darth Talon . 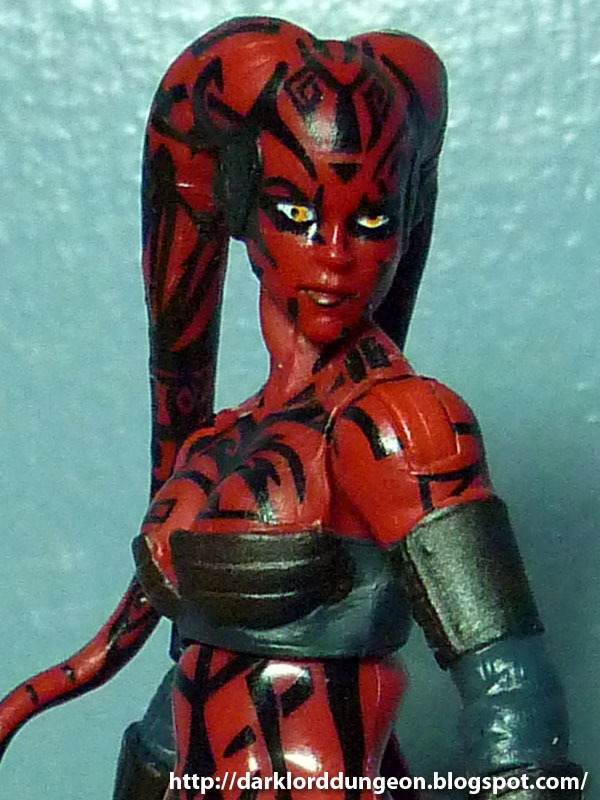 Darth Talon is actually a part of a 2-pack along with Cade Skywalker who she apprenticed for a while while Cade Skywalker was walking the Dark Side with the One Sith Empire - despite the fact that he nearly killed her. Cade Skywalker later stabs her through the gut, but she lives, on his way to destroying the One Sith Empire and killing Darth Krayt. I must say the Dark Side never looked so good. If Darth Talon is an example of what the women are like on the Dark Side, then no wonder the Sith numbers swelled. Presenting from the upcoming Transformers Dark of the Moon movie: Shockwave (DOTM Shockwave ). I've always been partial to Shockwave. I mean seriously what's not to like? He's got one eye and dresses in purple. Shockwave is like putting Cyclops and Magneto into one character. Shockwave is cold, calculating and just as powerful - if not more powerful - than Megatron. 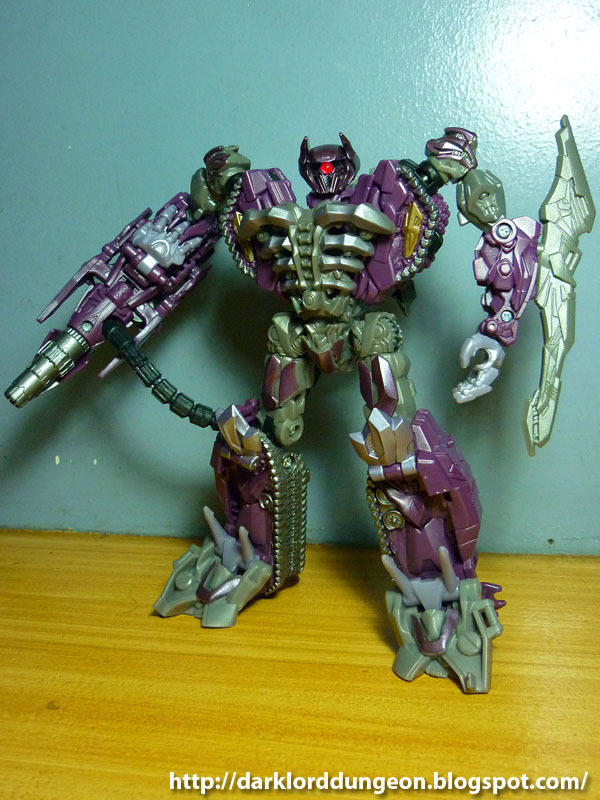 In fact in the original Marvel continuity of Transformers, Shockwave kills all the Autobots, makes a toy out of Optimus Prime's head, beats up Megatron twice and makes him swear fealty to him. So without a doubt, Shockwave rules! And the DOTM Shockwave is just as scary. Shockwave's fireblast has the maximum 10 rating. I am so looking forward to seeing him in action in the DOTM movie and I'm sincerely hoping he won't be a wuss. Presenting a G.I. Joe Sigma 6 Night Ops Vamp (Incomplete). I came across the Night Ops Vamp while looking for bargains in Greenhills - the local toy black market here in the Philippines. This particular Night Ops Vamp cost me PhP450 - roughly US$ 10 and change. I wasn't familiar with the Sigma 6 2.5" vehicle line so I didn't know just how incomplete this Night Ops Vamp was (All I knew was that it looked cool and I wanted to beef up my 3 3/4's mobility). Had I known I probably would have negotiated for an even lower price. A complete Sigma Six Night Ops Vamp will set you back US$ 45 plus shipping on Amazon. You can decide for yourself is it was worth the price. This photo was simply just too delightful to not share. This photograph was conceptualized and shot by Mr. Erick Bueno and I came cross it on the Facebook Toy Photograph group. 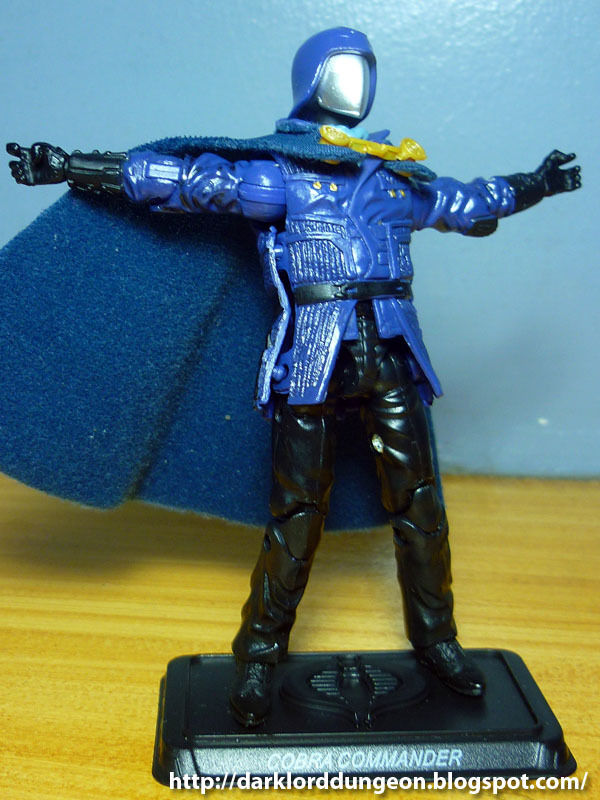 Presenting Cobra Commander from the G.I. 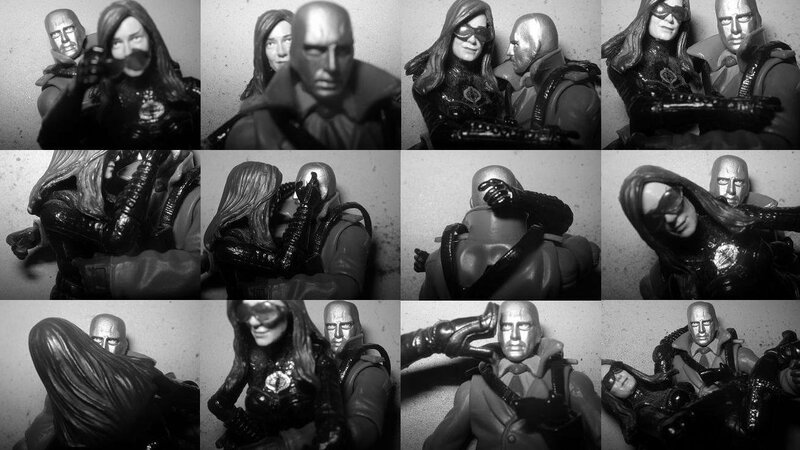 Joe Pursuit of Cobra Series Wave 5. I have to admit that I'm not a fan of Cobra Commander - I'm more of a Serpentor or Destro fan. 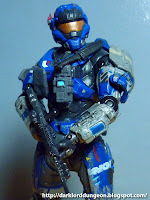 I've always found his previous action figures to be uninspiring - bordering on boring (Even the Armored version). The only reason why I would have purchased him in the past was as a token for who he is - or admittedly out of boredom. But I have to admit i actually like the POC Cobra Commander and I'm actually glad that this came with the set that I purchased. I purchased the POC Wave 5 set in Greenhills for PhP 3,800 (PhP 633) per figure). My ebay toy-supplier Victoyoyos will sell it for less, so if you're after this particular figure or the entire set, please do give him a visit. You probably remember the Marvel Legends: She Hulk from 2006 as the She Hulk having a bad hair day that sported her modern white-stripped jump suit. And also as the She Hulk that had that hideous smile that reminded everyone of what happens when someone inhales "Joker Juice.". 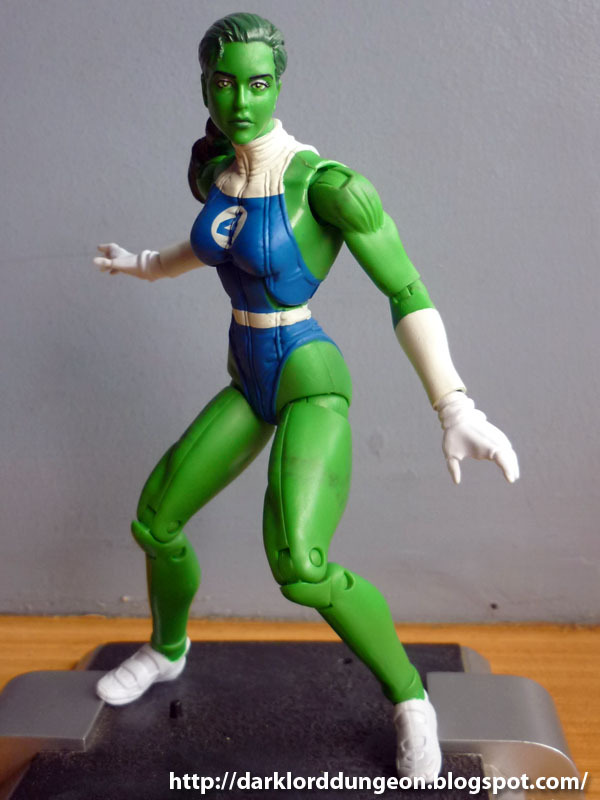 The SDCC She Hulk sculpt solves her bad hair day by putting it in a pony tail and has her don her Fantastic Four Uniform. However, someone from Hasbro must have really been hurt by all the "Joker Juice" comments that most likely rained into the Hasbro Headquarters that that someone - almost sarcastically - removed absolutely all facial expression from the SDCC She Hulk . 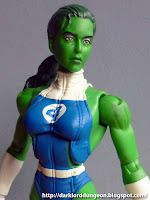 The SDCC She Hulk is so dour she's downright zombified. 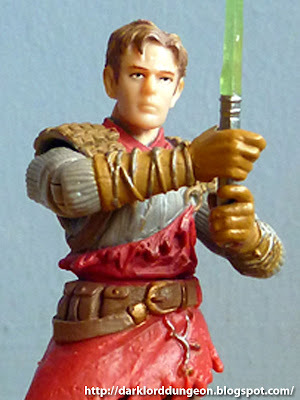 Presenting Star Wars' Ulic Qel-Droma from the 2009 Star Wars Comic Book 2-pack featuring Ulic Qel-Droma and Exar Kun. Ulic Qel-Droma 's story is actually an interesting one: The child of a reknown Jedi Knight, Ulic Qel-Droma is an arrogant, brash and reckless Jedi Knight who falls to the Dark Side in an attempt to avenge his fallen Master. 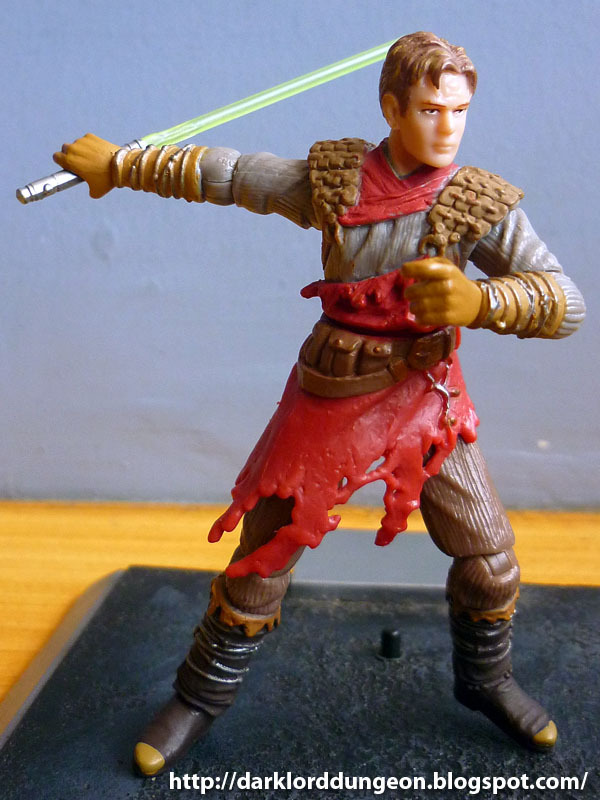 He becomes an unapologetic genocidal scourge of the universe apprenticed to Rogue Jedi and now Dark Lord, Exar Kun. Ulic Qel-Droma was armed with the Sith Superweapon: The Dark Reaper (later destroyed by Anakin Skywalker) that killed by draining the Force from all living things. Ulic Qel-Droma believed that the Republic is weak and the Sith Empire would bring in a Golden Age. 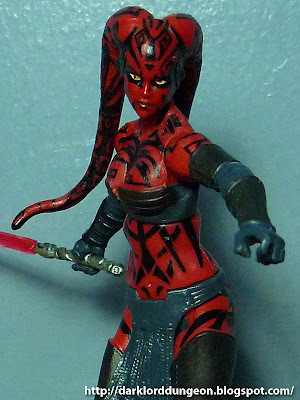 He ends up killing his brother and - while torn with grief - is attacked by his girlfriend: Jedi Nomi Sunrider - who uses an archaic Jedi Technique to cut Ulic Qel-Droma off from the force. Still he ends up helping the Jedi kill Dark Lord Exar Kun. Ulic Qel-Droma goes into hiding seeking redemption for his crimes against the universe and trying to re-establish his connection with the Force. Ends up training Nomi Sunrider's daughter (Not his) and eventually gets shot and dies. It's a beautiful story of youthful arrogance to tempered desire for redemption - save for the pretty pathetic ending.